This blog is dedicated to the Jaegertableau and Jaeger instruments used in the Citroen DS in the sixties. Today I want to make for one time a step to the Jaeger instruments that are used in Italy in the same period. Jaeger instruments are used in several, mostly luxurious, cars. Ferrari, Maserati, Intermeccanica and Lamborghini are some of them, and of course Alfa Romeo. Alfa used the instruments in the Spider. These instruments were fabricated by Jaeger Italia and the logo of Alfa is used. 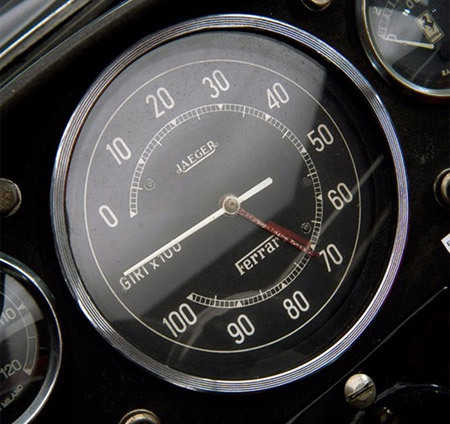 Since the Spider was very popular in the USA, the gauges were also in english! The clock is from a Maserati.